In 2003 we took over the farm from my father, Svend Olav Lund, and he originally took over the farm from his father. The 139 acre farm, located in the middle of Vejle river valley, has been in the family’s possession since 1924. Spjarupgaard was originally established in approximately 1645. In 1924 my great grandfather purchased Spjarupgaard in order to make sure his two sons stayed in Denmark. At that time the farm had cows, pigs and working horses and provided accommodations for guests in the summer. When my grandfather took over the farm, he established a stud farm for breeding Libisaner horses, raising cows and continued providing for summer guests and anglers. When my grandfather died, my grandmother ran the farm, except that she sold most of the horses and kept the cows and a few pigs. In 1978 my father took over the farm and decided to exclusively breed cattle. 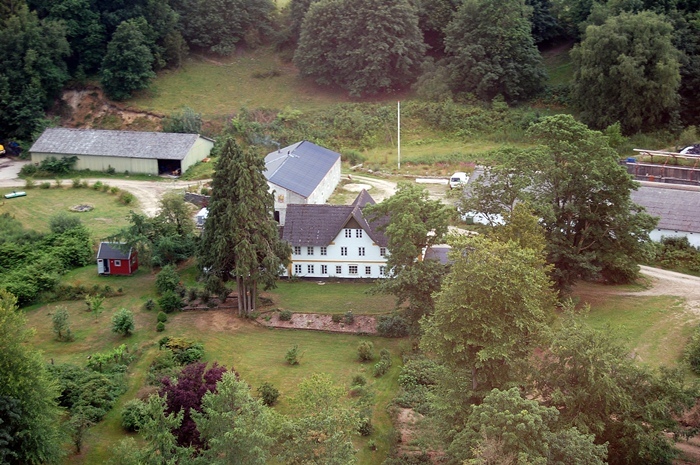 At that time Spjarupgaard was considered a rather big farm. However, as times changed farms needed to be bigger to yield sufficient income to make a living. When we took over the farm in 1978 it had no future as a cattle breeding farm.